Oman lies at the eastern corner of the Arabian Peninsula. Oman’s coastline runs 3165 kilometres from the Strait of Hormuz in the north to the borders of the Republic of Yemen. The country overlooks three seas, the Arabian Gulf, the Gulf of Oman and the Arabian Sea. 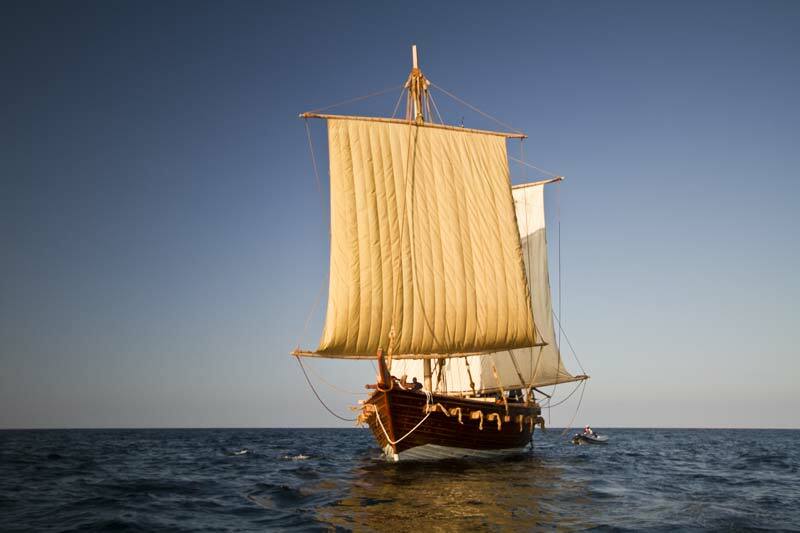 Oman’s proximity to the sea has meant the country has been a thriving seafaring nation for thousands of years. Their ships and caravans carried Omani goods across the oceans and along the Silk Road, trading and promoting links and cultural exchanges with other peoples. Prior to the beginning of oil production in 1964, the country was dependent on the agricultural sector and on fishing activities. The last 40 years, however, has been a period of spectacular growth. His Majesty Sultan Qaboos, the son of Sultan Said, came to power in 1970. The ascension to the throne of Sultan Qaboos ushered in a period of great change. Since that time the country has been modernised, and oil revenues have funded the development of, among other things, an infrastructure of roads, ports and airports, as well as telecommunications and broadcasting systems. The development of education is an example of this rapid change. In 1970 there were three elementary schools with fewer than 1000 students. Within 20 years, as the result of huge government investment, the number of schools was more than 800 with just under 365,000 students, both male and female. By 2006/7 the number of students in primary and secondary education had grown to over 550,000 students. Currently the Ministry of Education’s National Program focuses on mathematics, the sciences and environmental geography, in line with present-day international educational trends. In the 1970s, five-year plans were introduced to accelerate the country into the modern world. The current plan aims to speed up the diversity of national income and reduce the dependence on oil. Tourism is seen as one of the key areas of development. Oman continues to trade widely and export goods to over 100 countries. An important trading partner is China, a link that began well over 1000 years ago and intensified with the establishment of a sea route to China in the 8th century. 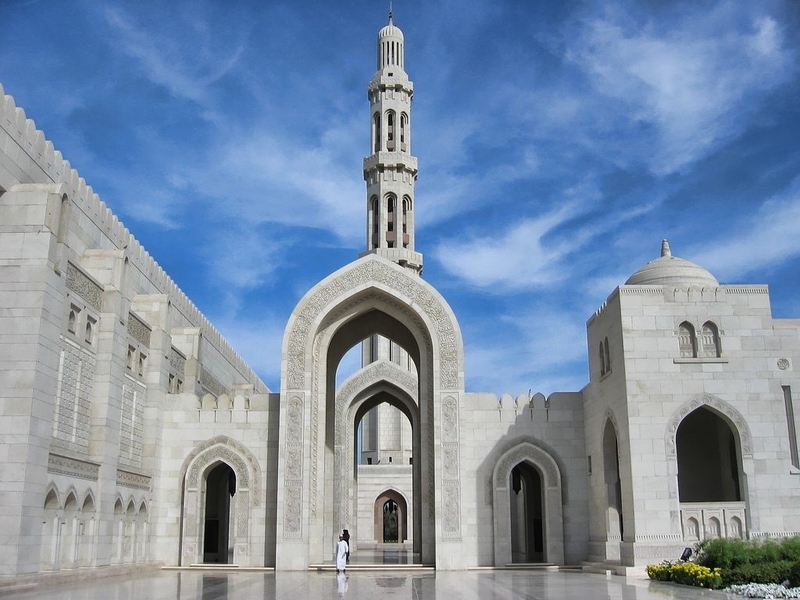 The Sultanate of Oman, where the the Jewel of Muscat has been built, is radically different to the Oman of 1200 years ago when trading ships ventured on long voyages to the East. Singapore has come a long way from its beginnings as a fishing village and a trading post, to the wealthy independent nation it is today. In the 9th century, the area we now know as Singapore, at the southern tip of the Malay Peninsula, was a settlement of the Sumatran Srivijaya Empire. In the 14th century it had the Javanese name of Temasek (sea town). Legend has it that Sang Nila Utama, then the ruler of Palembang (the capital city of the ancient kingdom of Srivijaya) made an unexpected landing in Temasek. While seeking shelter from a storm, he sighted an animal on the island that appeared to be a lion. He declared the island’s new name to be “Singapura”, which means “Lion City” in Malay. It replaced Temasek as the common name for the island by the end of the 14th century. Singapore’s modern era began in 1824 when the island came under the control of the British East India Company due to its naturally strategic location along the Malacca Straits and its proximity to major trading routes. In 1867, Singapore became a British Crown Colony. During World War II the city was occupied by the Japanese and renamed Syonan (Japanese for “Light of the South”). When World War II ended the city returned to British rule and the name of Singapore. In 1965 Singapore, the smallest nation in South East Asia, became an independent republic. In 1998, a shipwreck was discovered off the Indonesian island of Belitung. When the remains of the ship and the cargo were examined, the discovery proved to be the oldest shipwreck ever found in the region. Maritime scholars consider it to be proof of the existence of a 9th-century maritime Silk Road from Arabia to China. As a tribute to Oman’s ancient seafaring traditions and Singapore’s historic role as a major port and trading post along the maritime Silk Road, Sultan Qaboos bin Said presented the people of Singapore with the Jewel of Muscat, a reconstruction of the 9th-century Arab trading ship discovered near the island of Belitung. In 2010, the ship sailed from Oman to Singapore where it is now displayed with some of the Tang Dynasty ceramics and other treasures that were part of the cargo of the Belitung shipwreck. In Singapore, the Jewel of Muscat is be a key exhibit in the Silk Road Museum. The country of Oman is thousands of years old. The modern era of Oman began in 1970. Singapore became an independent republic in 1965. 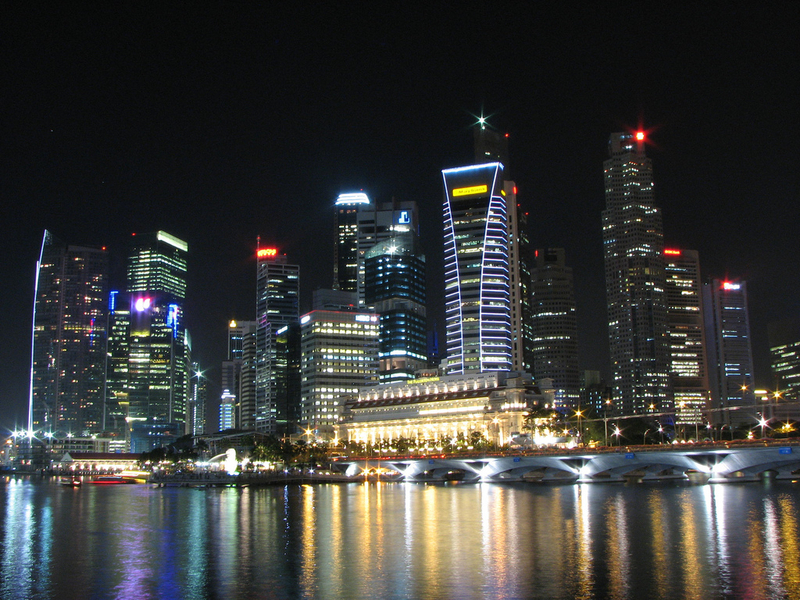 In the 16th century Singapore was known as Singapura. Singapore is an independent republic. The Jewel of Muscat is a gift from the government of Oman to the government of Singapore.